We are currently recruiting for a Head of Contracts and Quality. This role is pivotal to the business in Scotland and we are looking for someone to effectively manage the strategic direction of all public sector contracts and relationships. 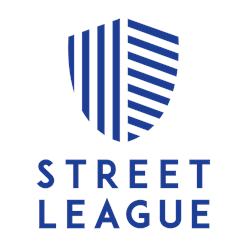 Working with the Managing Director, the post holder will have holistic senior business responsibilities in the day to day running of Street League however the prime objective is to ensure that there are adequate management systems in place to continually oversee compliance, risk and revenue streams. This unique senior position is available on a maternity cover basis for 12 months however it is anticipated that the successful candidate would maintain a senior role within Street League following the initial tenure. Please see attached the full Job Description and Person Specification. All posts are subject to a PVG check. Street League is an equal opportunities employer. Edinburgh. Desk space to be secured by postholder in Edinburgh with a partner organisation. Some home working will be considered. Pancreatic cancer is a tough one but we’re taking it on. We are supporting those affected by the disease, investing in ground-breaking research, lobbying for greater recognition of pancreatic cancer and being a voice for everyone involved in the fight. Together we are taking on pancreatic cancer. Our work in Scotland is a central part of our activity to take on pancreatic cancer. Researchers in Scotland are leading the way in developing new exciting approaches to tackle pancreatic cancer, particularly through the Precision Panc programme based in Glasgow and we are delighted to be the patient engagement partner for this initiative. We also chose Scotland as the location for our first ever Future Leader’s Academy, which we fund at the Beatson Centre, to further drive our ambition to attract the next generation of bright minds into the pancreatic cancer field. As a charity we have been working hard to push pancreatic cancer up the political agenda in Scotland through the Cross party group, events and debates in the Scottish Parliament, working with some very dedicated supporters. But we have much more to do. Particularly to make sure that everyone diagnosed in Scotland knows about the services we provide and has access to our face to face services to reduce isolation and improve quality of life. The charity has always been active across the UK but has been expanding its activities in Scotland, providing a significant level of research investment, growing our influencing activity to specifically call for a review of pancreatic cancer services and starting to roll out our face to face services. Over the last two years the charity has had a consultant and Interim Head working with the charity to start to shape our priorities for work in the nation but this will be the charity’s first permanent role in Scotland. The role will sit within the Operations Directorate and have a key focus on establishing the charity’s presence and profile in Scotland working to engage with key stakeholders to increase our service presence, influence to improve treatment and care, increase research collaboration and increase our fundraising activity. The post holder will need to work closely with teams across the charity. 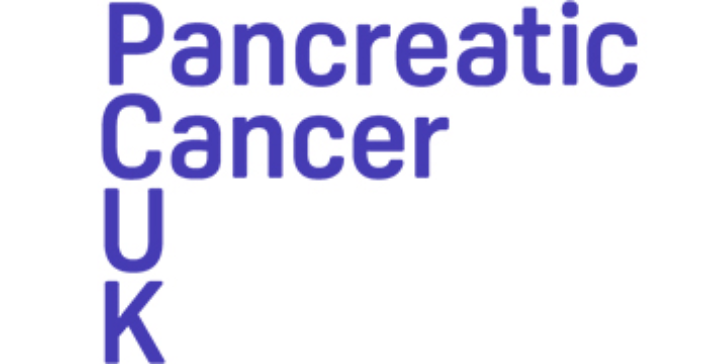 You will play a crucial role in ensuring our work is appropriately tailored to meet the needs of people affected by pancreatic cancer in Scotland and our wider stakeholders and to ensure we are responding to key concerns or opportunities around pancreatic cancer within the nation. You will also help us build relationships with key health and policy stakeholders in Northern Ireland, working with our postholder there. This is an exciting time to join the charity and help shape our work as we start to develop our next organisational strategy. 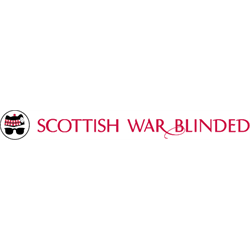 To enable us to meet our strategic objectives including the production of a two-year plan for services, policy and campaigning, fundraising and engagement activity in Scotland with input from internal Heads, the successful candidate will be skilled in developing and maintaining strong working relationships. These include external relationships with key stakeholders from across the pancreatic cancer community including supporters, health professionals, policy makers, MSPs, researchers, funders, major donors and other charities. This role will be representing the charity and be comfortable and credible networking at a senior level. The post holder will need to ensure excellent internal communication and effective co-working is maintained with internal contacts at the London office and have direct experience of service delivery, ideally in a health setting, operational planning, project management and budgeting, a high standard of written communication including presentations and policy development. We are an inclusive employer committed to developing a diverse workforce and are looking for people who can demonstrate dedication to our cause and values. We offer a supportive place to work with helpful and friendly staff who report a high level of job satisfaction. We are always happy to discuss flexibility in light of the needs of the role. An exciting opportunity has arisen and we are currently seeking applications for a Lead Inspector within the HM Inspectorate of Constabulary in Scotland (HMICS) based in Edinburgh. The post holder will ensure HMICS is able to monitor, assess, inspect and report on the effectiveness and efficiency of Police Scotland and the SPA. They will also be able to co-ordinate an allocated programme of inspection activity including acting as inspection manager for both single and joint inspectorate inspections when appropriate. We are seeking an experienced individual to play a key role in Information Services, supporting and developing disability advice and support. This varied and challenging role requires a detailed knowledge of the Equality Act 2010 including the Scottish Specific Duty Regulations 2012; and previous experience in a disability related role. You will be an excellent communicator, have good influencing and negotiation skills, and have an ability to work with and engage a range of stakeholders from the Student Disability Service to the Fire Safety Unit. Working with the Disability Information Officer, you will be able to make improvements and promote accessibility across all of Information Services through amongst other things developing policy and guidelines (including Equality Impact Assessments), auditing IT systems and assisting in organising the provision of assistive technology and advising on physical building accessibility. This is a full-time (35 hours per week) open ended post, although consideration will be given to part-time applicants. 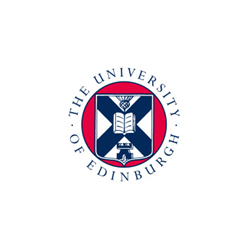 It is based at Argyle House in central Edinburgh, although travel between various University of Edinburgh buildings will be required. We anticipate interviews will be held on 22nd May 2019. You will be notified by email whether you have been shortlisted for interview or not. Previous applicants need not reapply. As an equal opportunities employer, we welcome applicants from all sections of the community, regardless of age, gender, race and ethnicity, disability, nationality and citizenship status, religion, sexual orientation or transgender status. 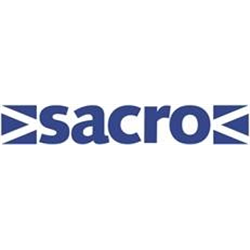 Sacro are recruiting both contracted and sessional Care Support Workers to work within the Enhanced Framework and Community Justice Service. This service is delivered in both Aberdeen and Aberdeenshire, with a focus on maximising outcomes and promoting independence for Supported People who have a Learning Disability and a Criminal Justice history. We work in partnership with supported people and their families, and stakeholders. Excellent verbal and written communication skills are essential, as is an understanding of the nature of and purpose of the post. The successful applicant will be flexible and imaginative in their approach and sensitive and confident in their ability to help supported people. The ability to use their initiative and organise the workload whilst working in a non-discriminatory framework is essential. The service runs 24 hours a day, 365 days year, hours will be worked on a rota system which will include evenings, weekends, sleep overs and public holidays. Because of the nature of the service, travel is necessary. A full driving licence is therefore desired, though not essential. 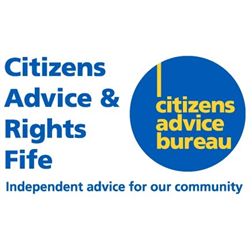 Membership of the Protecting Vulnerable Groups Scheme (PVG) and Registration with the Scottish Social Services Council (SSSC) is a requirement of this post. The post holder will be expected to work as part of a team to provide a full, comprehensive and quality money advice service to clients. The post holder will work collaboratively with a variety of support agencies to encourage referrals and ensure clients have access to timely advice, information and practical support. Regular travel throughout Fife is a pre-requisite of the post and flexibility and adaptability is essential to meet the changing needs of the organisation. We are committed to Equal Opportunities and applications are welcome from all communities. The purpose of the Community Capacity Development Coordinator is to deliver a programme of activities to provide one-to-one support to service users with their capacity development and employability skill needs. 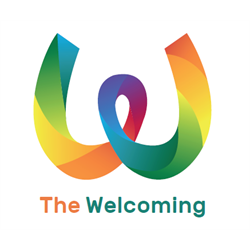 Please note that you must already be eligible to work in the UK to be employed at The Welcoming Association. All successful candidates must also provide a clear Basic Disclosure Certificate before the job can be awarded. Venture Trust works with people experiencing complicated life circumstances. Through the provision of wilderness-based personal and social development programmes, we equip them with the confidence, motivation and core life skills that they need to make positive changes in their lives. Our Outreach Workers deliver high quality participant support across the range of Venture Trust programmes, to engage participants in a dynamic and progressive community and wilderness-based personal development opportunity. The successful candidate will undertake the initial assessment of potential participants for our programmes (phase 1) preparing and supporting them to undertake their wilderness journey (phase 2), working closely with the wilderness journey staff. Upon return to their community (phase 3), you will continue to work closely with participants to develop and maintain community links, supporting them into sustained positive destinations, including education, training, volunteering or employment. Additionally, you will help to promote the programme with stakeholders, providing progress updates for referring partners and agents to develop and maintain effective relationships. You may also be required to support the delivery of our SQA qualifications. Ideal candidates will have excellent communication skills with the ability to connect with stakeholders at all levels. Strong time management skills to manage a varied and demanding workload, with the ability and willingness to work effectively under own initiative and often in isolation are also essential. Ideally you will have qualifications in youth work, community development or a related discipline and/or an equivalent level of experience working with vulnerable and disaffected individuals, supporting them to identify and sustain positive changes in their lives. A strong knowledge of voluntary and statutory sectors in Scotland is also essential. Experience of development training and knowledge of drug, alcohol and youth/Criminal Justice related issues would be an advantage. Please note a driving license and access to a vehicle is an essential requirement of this role. We offer a range of generous benefits including 28 days annual leave and 9 public and bank holiday days, flexible working and a joint contributory pension scheme. 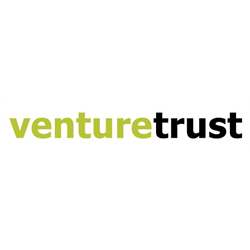 Venture Trust is committed to promoting equality and diversity in employment, and follows an equal opportunities policy.